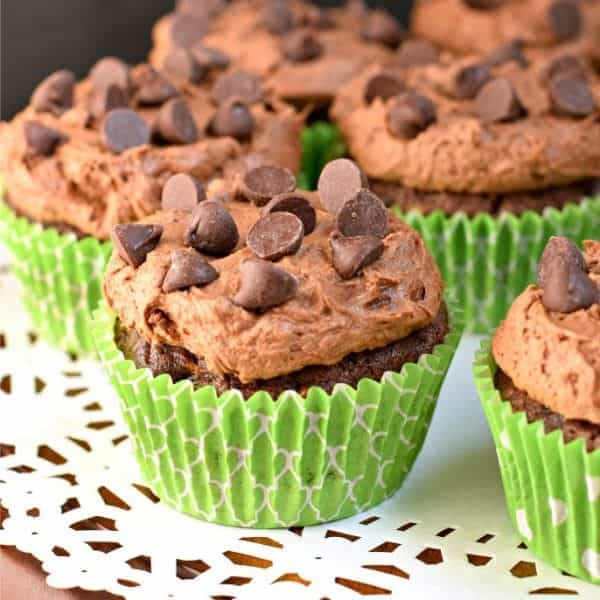 You’ll love these moist and fudgy, Chocolate Chip Zucchini Cupcakes! 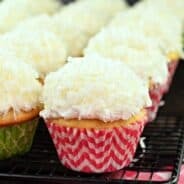 Hard to believe there’s a vegetable inside these sweet cupcakes! We made it! Whoohoo!!! It’s so exciting right? Oh wait, maybe you don’t know what we made it to? To the end of my zucchini recipes this season! I know it was a busy one, and hopefully you didn’t miss any? But if you did, let’s recap for a second! We started the season off with this Lemon Zucchini Bread. I’ve made it several times since then, and now have about 4 or 5 loaves of it in my freezer! From there, we switched gears and baked up some Zucchini Meatballs. The perfect vegetarian dinner idea, and it’s low calories! Even my carnivorous family loved these meatballs. After that I baked up couple more zucchini bread: Chocolate Chip Zucchini Bread and Praline Topped Zucchini Bread. Both of which are delicious, and freezer friendly too! But today, we are going with the chocolate and zucchini. I surprised a few people with these Chocolate Chip Zucchini Cupcakes. They had no idea there was zucchini inside. 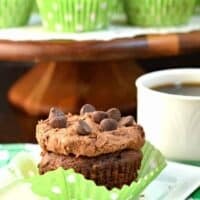 I’m a big fan of the chocolate and zucchini combo…remember this Chocolate Zucchini Cake or these Chocolate Zucchini Brownies? So good you guys! And it’s a nice change from bread and muffins! 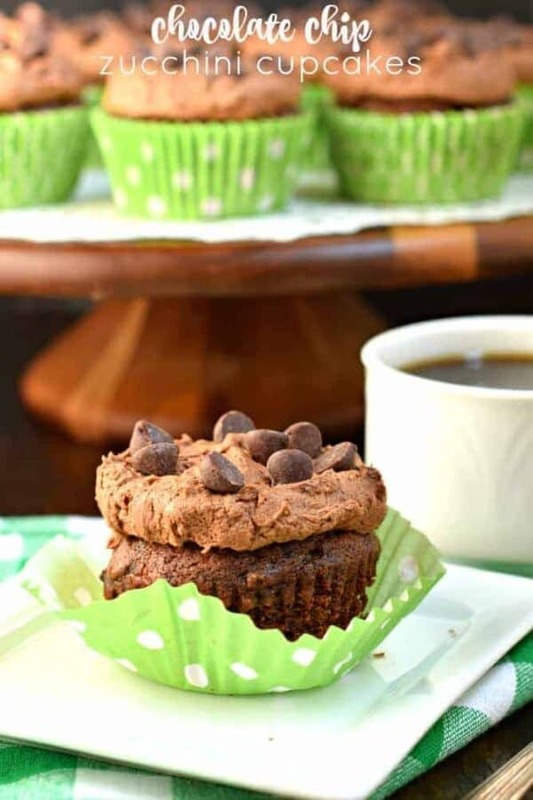 Today’s Chocolate Chip Zucchini Cupcakes are super easy to whip up! 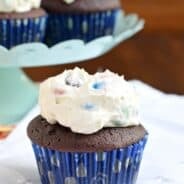 And you’ll love the creamy chocolate frosting with chocolate chips on top! See you next year with more zucchini recipes, haha! Be sure to check out my zucchini archives if you’re still looking for inspiration! 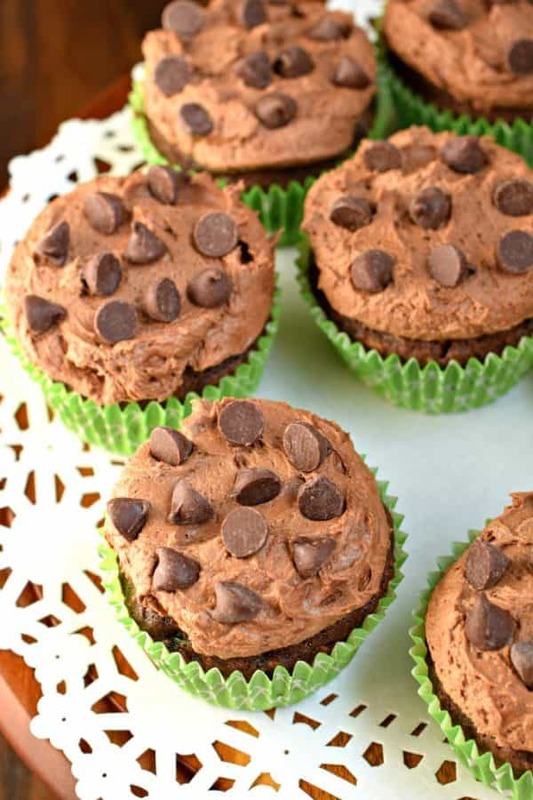 You'll love these moist and fudgy, Chocolate Chip Zucchini Cupcakes! 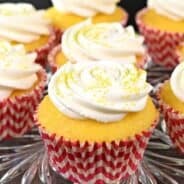 Hard to believe there's a vegetable inside these sweet cupcakes! Preheat oven to 350°F. Line muffin pan with paper baking cups. Set aside. In a large mixing bowl, beat butter, sugar, baking soda, baking powder, salt, and canola oil together until blended. Add in vanilla, milk, and egg. Beat for 2-3 minutes. Add in flour and cocoa, beat an additional 2 minutes. Fol in zucchini and semi-sweet morsels. Scoop into cupcake liners until about 2/3 full. Bake for 22-25 minutes. Remove and cool completely before adding frosting. For the frosting, beat butter for 2-3 minutes until pale in color, scraping down the sides of the bowl as necessary. Add in powdered sugar, cocoa powder and milk. Beat 3-4 minutes until fluffy! Pipe onto cooled cupcakes (this makes a lot of frosting, so if you like less frosting on your cupcakes, cut recipe in half). Sprinkle with chocolate chips and enjoy! Dear Aimee, There is one zucchini in my fridge; it seems it was waiting for this beauty. Will do! Thank you very much ! In case your system is not support in wireless audio device, s you are required to know about the wireless setting details. my suggest web portal is perfect place for understanding this function.